Is open redirect bad for your website? If we don't take into account "phishing", how can be open redirect dangerous? Mind reading http://homakov.blogspot.com/2013/03/redirecturi-is-achilles-heel-of-oauth.html because any redirect to 3rd party website will leak facebook access_tokens of your users. That's really bad. Users won't be happy to see your client posting spam on behalf of their accounts. What about open redirect in Rails? attacker has multiple ways to compromise the redirect. Frankly, this bug is really common. I found it in more than 5 popular rails startups though I only started checking. I have also noticed one more peculiar thing in Rails app. The way they implement their session tokens. 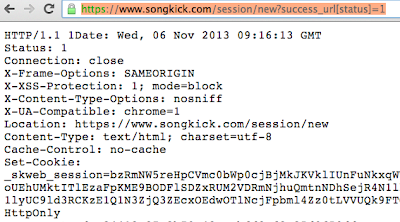 I have seen 3 cases till now where the session token is a combination of some Base64 encoded string + random number. 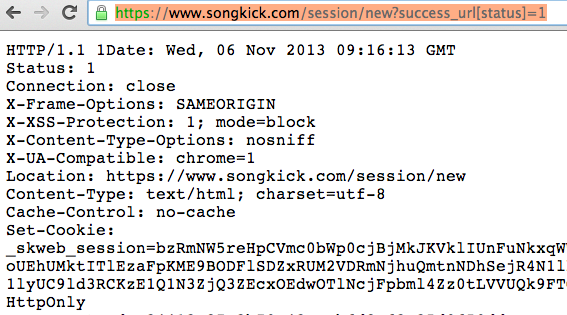 When you base64 decode the string, you can see the sessionID and the CSRF token. This same CSRF token is then used to prevent CSRF as a header in further requests. I am not sure if implementing or having the CSRF token in the session cookie is a good thing or not.